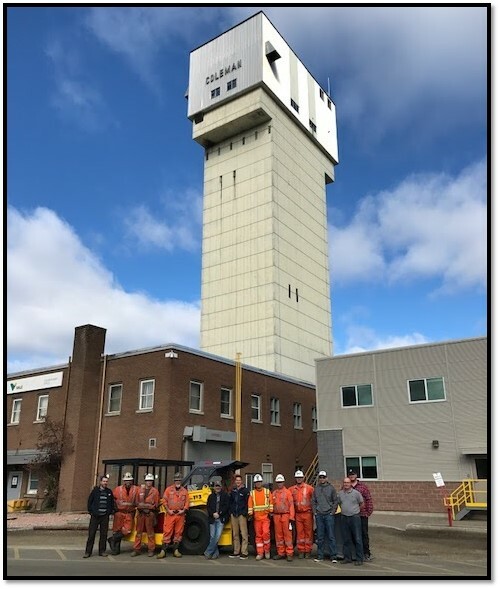 Artisan Vehicles is proud to announce that Vale, one of the world’s largest mining companies, has selected Artisan’s 153 to be the first battery powered loader to be tested underground at its Coleman mine in Ontario Canada. The vehicle was delivered to Coleman and went underground this week. “Artisan’s technology not only assists mining companies to reduce diesel emissions underground, providing a healthier work environment for its employees, but can also increase production output.” said Mike Kasaba, CEO of Artisan Vehicles. “Eliminating diesel underground is proven to reduce ventilation and cooling expenses. But it can also reduce costly production shut downs caused by high temperatures in the hot summer months. We are committed to making these benefits a reality at Coleman Mine through the delivery of their first battery powered loader. As I’ve said before, diesel’s days underground are numbered and Artisan is committed to accelerating its demise throughout the entire mining industry”. Artisan designed the 153 around its cutting edge electric powertrain, battery, and advanced operator control system. The 153, with its streamlined modernized design, is smaller in all dimensions than a comparable diesel loader, but has 300% of the power. It loads quicker, hauls up steep grades faster, and is more precise and responsive to operator commands. Operators prefer our battery powered units over diesel because of their higher productivity, more tons moved per shift, zero diesel emissions, extremely low heat, and quiet operation. Moreover, the total cost of ownership is comparable, and in many cases lower, than diesel. Based in California, the heart of electric vehicle technology, Artisan Vehicles is an original equipment manufacturer (OEM) of zero emission battery powered mining vehicles. Its core technology is its proprietary battery packs, electric motors, power electronics, software and control systems. Artisan’s underground mining machines are designed from the ground up around high powered, highly reliable, field proven battery electric powertrains.